Great Lakes Sailfish Swimming, Inc. POOL: 50 meters by 9 lanes, Colorado timing system and 9 lanes digital readout score board with spacious locker room space and balcony seating for spectators, continuous warm-up and warm-down available. The depth of the pool at the start end is 12 feet. The depth of the pool at the turn end is 4 feet. The competition course has been certified in accordance with 104.2.2C (4). The copy of such certification is on file with USA Swimming. Friday Evening Session: Warm-up will be 4:00-5:15 p.m., with competition starting at 5:20 p.m. If the average number of swimmers per lane is scheduled to exceed thirty (30) swimmers per lane, the evening session warm up shall be split by team, age or gender into two sessions. Open Session warm-up will be 6:45:815 a.m., with competition starting at 8:20 a.m. If the average number of swimmers per lane is scheduled to exceed thirty (30) swimmers per lane, the morning session warm up shall be split by team, age or gender into two sessions. Saturday and Sunday Finals: Warm-ups information will be announced prior to the conclusion of the morning session. The meet will begin 50 minutes after the start of a 45-minute warm-up period. Estimated start times will be posted on www.lakeerieswimming.com and the www.greatlakessailfish.com by Wednesday, May 15, 2019. TEAM SUPERVISION: Teamswho are entering swimmers but will not have a coach at the meet should arrange ahead of time for another coach to supervise their athletes. 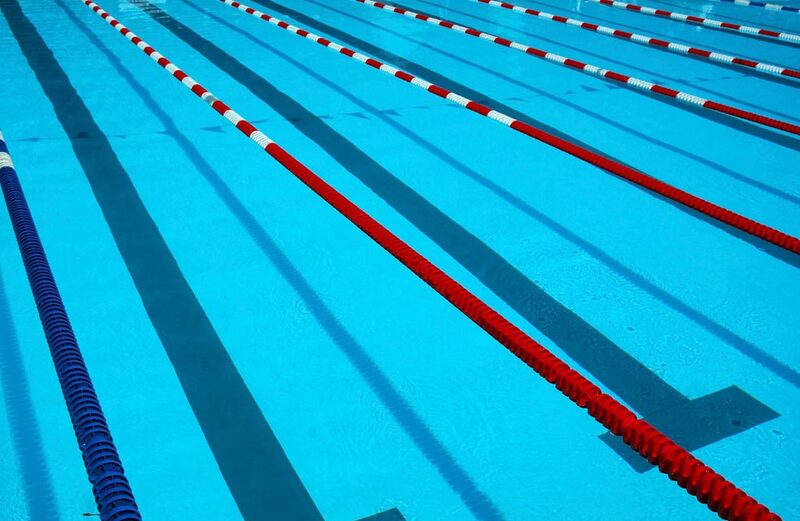 Swimmers without coach supervision must contact Swimmers without coach supervision must contact the Meet Director or Meet Referee to be assigned to a coach on deck. RETURN TO PLAY LAW:Under the Ohio Return to Play Law governing concussions, all coaches and officials (in state or out of state) are required to have proof of training in concussion signs and symptoms. This training is available for free and can be found at http://www.NFHSlearn.com/self_courses All coaches and officials are encouraged to take this training. It is your responsibility to take care of this requirement. ENTRY FEES: $6.00 per individual event. Relay events are $12.00 per event. In addition, there is a $3.00 per swimmer LESI surcharge. There is a $3.00 per swimmer handling fee for entries not furnished in an electronic file. Make checks payable to Great Lakes Sailfish Swimming, Inc. ENTRY LIMITATIONS: Swimmers may compete in up to 3 individual events in the Open Session each day. The 11-12 year old swimmers may compete in up to 3 individual events each day. The 10 and under swimmers may compete in up to 4 individual events each day. Any 10 and under or 11-12 swimmers competing in Open events on a given day are subject to the 3 individual event limit for that day. There are no event limitations on Friday. HEAT LIMITATIONS: GLSS reserves the right to limit heats of any event 400 meters or longer. Any limits to events will be posted to www.lakeerieswimming.com, and www.greatlakessailfish.com no later than Wednesday, May 15. Fees will be refunded for any swimmer cut from an event. DECK ENTRIES: Deck entries will be taken on a space available basis up to 35 minutes before the start of each session and seeded at NT. Deck entrants should sign up at the deck entry table for $10.00 per individual event and $15.00 per relay event. Deck entry swimmers new to the meet will be charged the $3.00 LESI surcharge and must provide proof of USA Swimming registration. Deck entrants for whom there is no space will receive a refund. ELIGIBILITY: Swimmers must be current athlete members of USA Swimming and have met the time standard requirements. Coaches must be current coach members of USA Swimming and must check in on each day of the meet. All coaches must display the deck pass (wristband) issued by the meet host. On deck USA Swimming athlete registration will not be available. Age is as of the first day of the meet, May 17, 2019. QUALIFYING TIMES: Please see event listings. Swimmers must be equal to or faster than the qualifying time for certain events as listed as of the entry deadline. Either Short Course Yards (Y) or Long Course Meters (L) will be accepted. Converted times may not be used. Nonconforming times will be converted by Meet Manager. There are no time standards for the afternoon sessions. NT will not be accepted; if the swimmer has no time, please provide an estimate. The host team may enter its own swimmers regardless of qualifying times if no qualifying swimmers have been closed out. PROOF OF TIME: Swimmers should enter an event only if they have achieved the listed time standard for that event. All Teams of swimmers who fail to achieve the qualifying time at the meet will receive a notice of those times that cannot be verified in the SWIMS database. Teams shall submit proof of time. Proofs of time shall be from an observed swim or from a sanctioned or approved competition only. A fine of $10.00 for each swim listed in the notice for which acceptable proof of time is not provided will be levied against the all teams or unattached swimmers. SWIMMERS WITH A DISABILITY: Qualifying times for 50-yard/meter events will be waived for swimmers with a disability. Swimmers with a disability may enter an event (such as the 100 free) and swim it with a longer yardage event (such as the 200 free) provided his/her time for the lesser yardage event (100 free) is equal to or faster than the listed qualifying time for the longer yardage event (200 free). Entries for swimmers with a disability should be handled in the following manner: (1) enter the swimmer in Touch Pad or the Hy-Tek database (or on the regular entry form); (2) list in the email accompanying the Touch Pad or Hy-Tek entry file (or on a separate sheet of paper) the name of the swimmer, the stroke(s)/distance(s) s/he wishes to swim, the entry times, the day/session s/he wishes to swim the event(s), and the manner in which s/he prefers to be seeded (with a longer distance or with a different age group); and (3) provide any information about special accommodations needed by the swimmer. The final determination of seeding will be made by the Meet Referee after consultation with the swimmer and his/her coach. CONDUCT: The meet will be conducted according to the rules set forth in the current USA Swimming Rules and Regulations and the Lake Erie Swimming Policy & Procedures. Nine (9) lanes will be swum in each heat of finals. All individual events in the Saturday and Sunday Open Sessions and 11-12 will be prelim/finals with the exception of the 400-meter freestyle and the 800-meter freestyle which are timed finals with all heats swum during prelims. All relays are timed finals with all heats swum slowest to fastest in the preliminary sessions. For finals, there will be no break between events, so swimmers should choose their events accordingly. Open Events: ABC finals, with only 14U swimmers eligible for the C final unless empty lanes are available. The 400 IM, 1500, 800 and 400 freestyle will be Timed Finals and swum fastest to slowest alternating women and men. SEEDING & CHECK IN: All events will be seeded on the deck. All swimmers must check in for these events at least 30 minutes prior to the start of their session. Check-in sheets will be posted. Relay cards must be turned in upon call in order to be seeded. The Lake Erie scratch rules (attached) will be in effect. CLERK OF COURSE: A Clerk of Course will not be provided. SCORING: Individual events: 22-19-18-17-16-15-14-13-12-10-8-7-6-5-4-3-2-1; Relays double. Individual High Point & Runner-Up for each gender 10 & under, 11-12. Points scored by a 12 & under swimmer in Open Events will NOT count towards age group high point and will accrue only to high point in open events. ADMISSION COST: $6.00 per spectator per day. Meet programs will be available. There will be special prices for combined sessions and meet programs. Seniors 65 and over and children 6 and under are free. PARKING: CSU charges for event parking (est. $10 per day). Parking lots are available at the corner of Chester and E. 22nd Street or on Euclid Ave and E. 24th Street. City of Cleveland Meter parking is all day Sunday on Chester Avenue. Cleveland State University Meter parking is available on a very limited basis. RESULTS: Results will be posted on www.lakeerieswimming.com. Teams may request a backup at the conclusion of the meet. Meet mobile will be available, these are considered unofficial. Results will be posted during the meet on deck, in the lobby and outside the locker rooms. TIME TRIALS: At the discretion of the Meet Director and Meet Referee, time trials will be offered at the conclusion of the Friday evening, the Saturday morning and the Sunday morning sessions. Time trials are offered only to swimmers entered in individual events of the meet. Depending on the timelines, some events may not be available for time trial. Time Trial swimmers should sign up at the deck entry table up to 60 minutes before the conclusion of the Friday evening, Saturday morning or Sunday morning sessions. The cost is $10.00 per individual event and $15.00 per relay event. Time trial events count toward daily event limitations. ONLY ONE TIME TRIAL per swimmer permitted per day. 4:00 p.m. warm-up, 5:20 p.m. meet start. Qualifying times must be equal to or faster than the times below. *Timed finals swum fastest to slowest alternating women and men. Swimmers must provide their own timer and counter for the 1500. Qualifying times must be faster or equal to times below. Open swimmers are limited to three individual events per day. *Timed final event with all heats swum fastest to slowest in the prelim session, alternating women and men. ** Timed finals swum slowest to fastest in the prelims session. Afternoon warm-up will begin 15 minutes after the conclusion of the morning session. Competition will begin at the completion of the 45-minute warm-up. 10 & under swimmers are limited to 4 events per day. 11-12 swimmers are limited to 3 events per day. FINALS: Estimated finals warm-up information will be announced prior to the conclusion of the morning session. Finals will begin 50 minutes after the start of a 45-minute warm-up period. There will be a minimum of 45 minutes between the conclusion of the afternoon session and the start of warm-up for finals. Estimated start times will be posted on www.lakeerieswimming.com and www.greatlakessailfish.com by Wednesday, May 16, 2018. C/B/A finals for Open events will be swum in that order with only 14 &U eligible for C final except to fill empty lanes. Only A finals will be conducted for all 11-12 events. For finals, there will be no break between events, so swimmers should choose their events accordingly. * timed final event with all heats swum fastest to slowest in the prelim session, alternating women and men. Estimated start times will be listed at www.lakeerieswimming.com by Wednesday, May 15, 2019. FINALS: Estimated finals warm-up information will be announced prior to the conclusion of the morning session. Finals will begin 50 minutes after the start of a 45-minute warm-up period. Estimated start times will be posted on www.lakeerieswimming.com and www.greatlakessailfish.com by Wednesday, May 15, 2019.